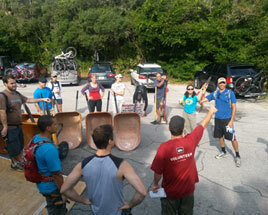 SORBA Jax is a chapter of IMBA/SORBA, the International Mountain Biking Association and the Southern Off Road Bicycle Association (who have merged). 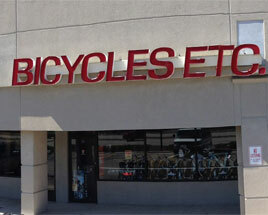 We actively promote safe cycling and maintain the trails in Jacksonville, Fl. Formed in December 2010, this group of like minded individuals have made great strides in attaining city support and association support. Look for more information in regards to Hanna Park, Tillie K Fowler and other trails in the Jacksonville area. To be an organization that promotes fitness, community involvement and fun through off road biking activities for all skill levels. Your trails don't build themselves. 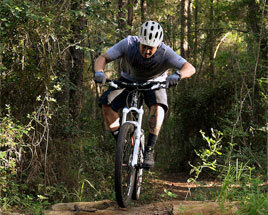 Be an active part of the mountain bike community in Jacksonville. Provide input and feedback on improvements to your local trails. Give back to the trails that you love to ride. << Change your membership type?